In late 2017 we conducted an extensive survey of AMSOIL Dealers. We wanted you to tell us what you need and where we can help, so we hired a firm to help us develop a scientific approach designed to get honest feedback. We gathered data from new Dealers, longtime Dealers, former Dealers, full-time Dealers, part-time Dealers and everyone in between. We had great participation in the survey, which was not brief, so I thank each of you who took the time to give us your perspective. You might be wondering why I’m talking about this survey now, in the first month of 2019, more than one year after its completion. Well, while the results of the survey were clear, the answers to some of the issues it highlighted were not, and some of the responses required a great deal of preparation and work. I didn’t want to share the results with all of you and make a bunch of promises about what was to come; I wanted to wait until we had taken some steps based on those survey results and had solid plans in place for additional action. Those of you who attended the 45th Anniversary Convention last July heard about the results, what we’ve done so far and a little about where we’re going. Now we’re going to share that information with all of you in this issue of AMSOIL Magazine. One of the most common responses we received was the request for more national advertising. We’re fulfilling that request in multiple ways, but most visibly through increased exposure on the Velocity channel. You might have seen our updated TV commercial running there over the past couple months. 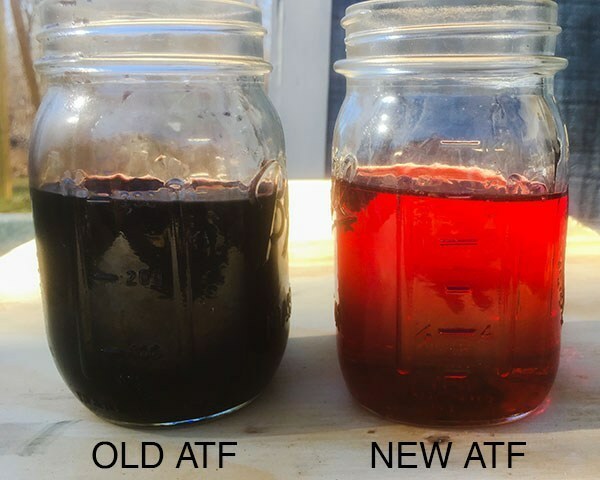 If so, you undoubtedly caught the side-by-side comparison of bearings protected by AMSOIL Signature Series and bearings not so well protected by another oil. You can expect to see more advertising of this nature in 2019. You also asked for more support to defend against other brands, and we are delivering. I hope by now you’ve seen some of the other comparisons we’ve published, and I hope you’ve used them to earn sales. I’m particularly shocked by how poorly Mobil 1* gear lube performed in the Brookfield viscosity test (see www.amsoil.com/ performancetests.aspx). It’s hard for the general public to believe that a company as respected as Mobil 1 would produce a product that failed an industry-standard test. That’s why hard technical data can be so useful for you in the field, and it reinforces the importance of our quality standards and technical abilities. Our quality standards truly are second to none, and few things thrill us like using our technical expertise to solve a problem. These traits have served us well through the years and opened doors for many Dealers. In the past decade, these traits helped us strengthen the company by selling industrial gear oil for wind turbines. As many of you know, AMSOIL has been heavily involved in the wind turbine market since 2009, and it all started with our ability to solve a problem. Our original intent was to develop the wind turbine market for AMSOIL Dealers to pursue, and we told AMSOIL University attendees in 2007 that we were doing the work necessary to get Dealers in the game. It quickly became clear that, for numerous reasons, it was impossible for AMSOIL Dealers to succeed. The risks were too great – carrying millions in liability insurance, climbing 300-ft. towers – and the business demands too substantial. The customers are major global corporations requiring engineering expertise and worldwide travel, and sales cycles take years. After learning all that was involved, Dean Alexander and I presented our findings at the 40th Anniversary Convention. Wind Turbine Industry – We lead! We have not talked much about our involvement in the wind turbine industry since then, but it is time for you to take advantage of it. A recent press release from ZF*, the world’s largest gearbox manufacturer, identified AMSOIL as the lubricant supplier for end-of-line testing in Belgium, Germany, China, India and the U.S. That is a big deal, and there are others besides ZF that I have to keep confidential. Wind turbine gearbox lubrication has the most stringent requirements of all gear systems, and much of the lubricant technology we use for wind turbine gears is also used in SEVERE GEAR®. If AMSOIL gear lube is good for wind turbines, it is great for automotive applications. Renewable energy is important. We are directly helping make wind power a viable source of energy by lowering costs and developing best practices. AMSOIL was first to extend drain intervals in this market. When we entered the scene, the average interval was two to three years. Now it’s five to eight years. We also developed the oil change procedure adopted as best practice by the American Wind Energy Association (AWEA) and did the same in China. While our participation in the wind industry might not present a direct opportunity for you to earn sales, it does benefit you in multiple ways. It makes AMSOIL stronger, benefiting everyone. It boosts our reputation, it is environmentally responsible and it gives you bragging rights that Lucas*, Royal Purple* and Schaeffer’s*, for example, don’t have. Use this information and the additional details in this month’s article on wind turbines to help you make sales. Only the best is good enough for wind turbines and at AMSOIL, we make the best. Some of you may have heard Al say over the years, “I’m not selling; I’m just telling.” And that’s the way it is.